Software Defined Storage (SDS) was supposed to take the data center by storm, sweeping IT professionals off their feet on the way to storage management bliss. But, most SDS projects are never actually started or abandoned long before they reach their objective. Why? SDS is Broken. 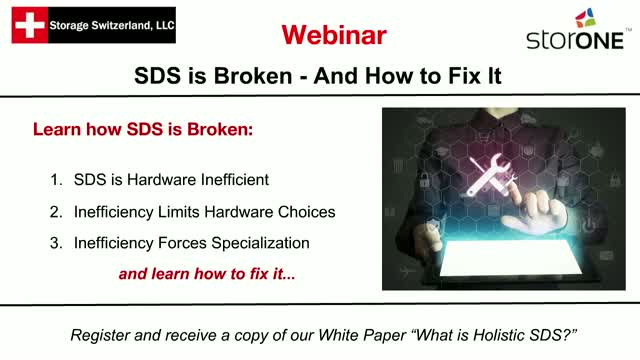 In this live webinar we will discuss the challenges facing legacy SDS solutions and how the next generation of SDS plans to fix it.